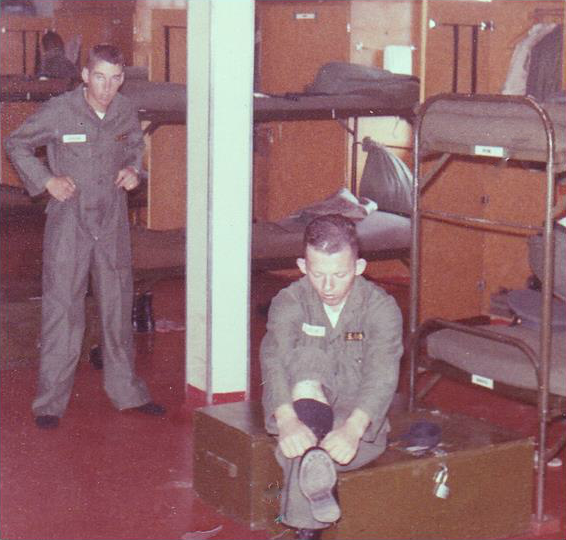 Standing only five foot tall in a line of thirty other young men, Kennith Ritchie waited for what everyone knew what was to come – they were going to Viet Nam. Drafted in Oklahoma when he was nineteen, Ken had been a jockey and a hairdresser. Now he was to be a soldier. A Marine officer walked in to see the new draftees. He counted the first five and said, “Congratulations, gentlemen. You are now United States Marines.” Ken was sixth in the line that day. Thinking he had dodged a rough assignment, he had no idea what was to come. Thinking back to that time and the sergeant who had been so rough on the boys he has mixed emotions. The man might deserve a punch in the nose, but Ken would probably give him a hug. 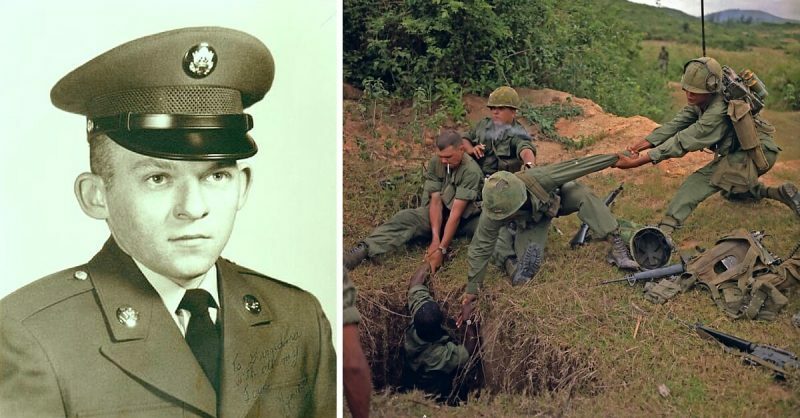 The training he received in boot camp likely saved his life more than once in the jungles of Viet Nam. Transport of troops in 1965 was aboard a World War ship. Ken learned right away he wasn’t meant to be a sailor. Feeling somewhat trapped on board caused him to be even more anxious. The trip was to take twenty-eight days. Approximately 3000 soldiers were aboard and the sleeping quarters existed of bunks stacked six deep. And, of course, the shortest guy in the outfit, Ken, got the top bunk. One of the men was seasick every day. He spent much of his time at the rail, vomiting over the side. Walking around with saltine crackers, the least sound or smell would activate his nausea. On one occasion, the miserable man was sick in private, vomiting out the anchor opening. Some of the guys trussed Ken up and dropped him over the side of the ship with a Polaroid camera. He said it was a long way down to the water and was very happy to crawl back onto the deck. He couldn’t swim. Looking back, he thinks about the crazy things they did; but remembers they were only nineteen-year-old kids faced with a grave future. Ken had a buddy who convinced him to volunteer for KP duty. He was hesitant, but the friend insisted. From that day forward Ken enjoyed ice cream and hot showers in fresh water. All he had to do was keep the salt and pepper shakers full. It was a pretty good deal, and he was glad he got KP duty. When at last they arrived at their destination, the men were loaded with gear and lowered into landing craft. Down inside that metal box, men were crowded together, and darkness covered their eyes, as they bounced through the choppy surf to the beach. Then suddenly, the ramp let down, daylight flooded the craft, and they were there. Viet Nam. 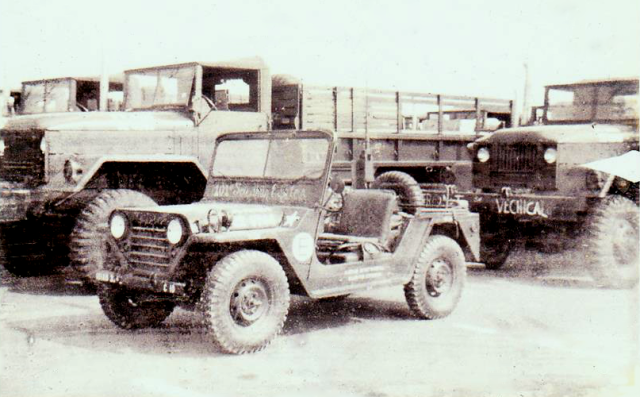 At first assigned to a transport group, Ken drove a Jeep for a Captain and delivered “beans, bullets, and band-aids.” He was spotted by a former trainer and found himself with the label: Tunnel Rat. His small stature, tough nature, and not being claustrophobic fit the situation well. He said it seemed the whole country had tunnels. He would go in with a pistol and a knife – though the knife was the weapon of choice should he encounter the enemy. 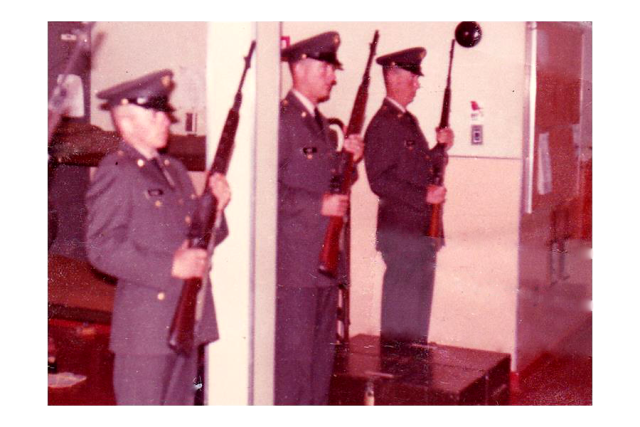 Firing a gun in the tunnel was like, “Stickin’ your head in a 55-gallon barrel and firing a .44 magnum. The red clay of the area made good tunnels, but during monsoon season, things got a little sticky. Not only might the enemy be lurking around a bend, but Ken encountered masses of big, brown spiders sheltering from the rain. He said it seemed like millions of spiders were ahead of him. But, having a mission and duty, he put his head down and forged ahead, allowing the masses of spiders to crawl across his body. Even fifty years later, Ken gets the heebie-jeebies thinking about it. But kids like to hear that story. Not surprisingly, Ken didn’t care for close spaces after his time as a Tunnel Rat.